Another indie-flavored half-hour show about moderately miserable people in a coastal city? 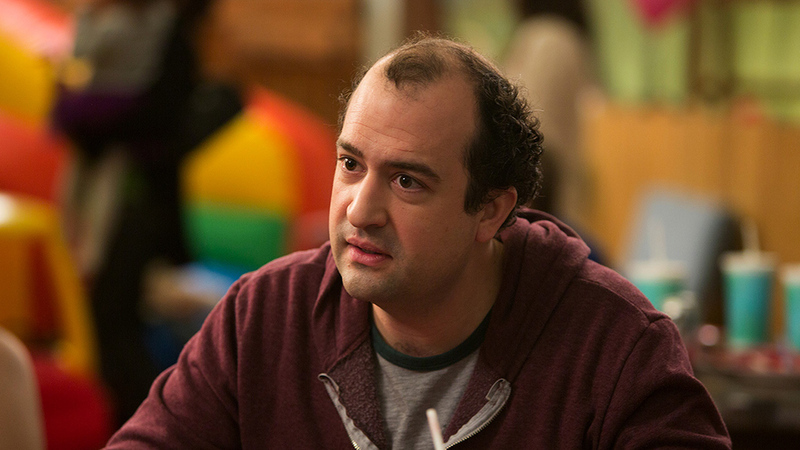 You’d be forgiven if deflation was your reaction to the one-sentence description of “Togetherness,” but skipping this HBO show would have meant missing out on Zissis’ fantastic performance. His shaggy character was an everyman actor who was sure his time had passed, but the quiet passion and wily subversiveness he brought to the role were beyond impressive. In a cast full of capable actors with higher profiles, Zissis’ versatility, skill and warmth easily stood out. I think an open story was part of the plan, but that was what was new about TV for them. In feature films, obviously you have to wrap everything up in a bow in an hour and a half, which is challenging. And I know that Jay and Mark loved being able to tell an open-ended story. I think in some ways it’s also allowing them to go deeper into character study than what you can maybe do in an hour and a half. I think these are probably the most complex characters they may have created so far. It may just be because, by the virtue that it is an open-ended story, you get to live with them longer. They’re loving it. Zissis is in very talented company, including personal favorites Titus Burgess in “The Unbreakable Kimmy Schmidt” and Krysten Ritter in “Marvel’s Jessica Jones” — both on Netflix. You can hear more of Zissis jib-jabbing with awesome co-star Amanda Peet below. Season 2 is currently underway. This entry was tagged duplass, hbo, steve zissis, tv radio. Bookmark the permalink.